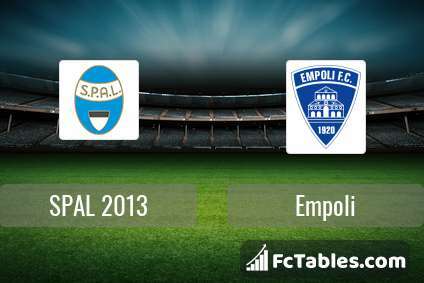 Kick off SPAL 2013-Empoli in Serie A on today 14:00. Referee in the match will be Paolo Silvio Mazzoleni. Team SPAL 2013 is located in the middle of the table. (15 place). Form team looks like this: In the last 5 matches (league + cup) gain 4 points. 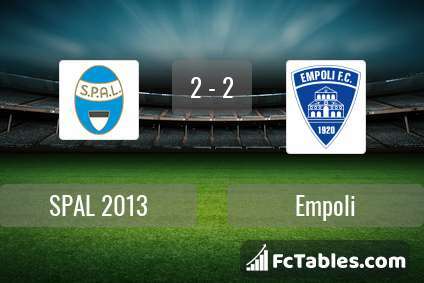 SPAL 2013 did not win the match from 4 games. The most goals in Serie A for SPAL 2013 scored: Andrea Petagna 4 goals, Mirko Antenucci 3 goals, Alberto Paloschi 2 goals. In SPAL 2013 not occur in the match due to injury: Demba Thiam. 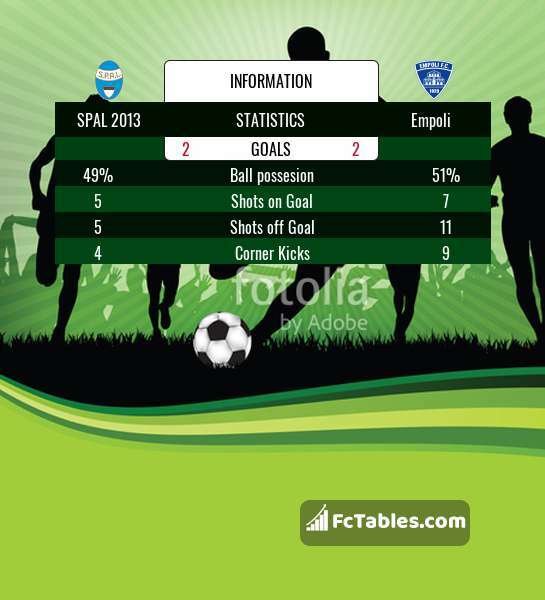 Team Empoli currently is on lower place in table (17 position). Form team looks like this: In the last 5 matches (league + cup) gain 7 points. From 2 matches no lost a match. Leading players Empoli in Serie A is: Francesco Caputo 6 goals, Miha Zajc 2 goals, Matias Silvestre 2 goals. Players Francesco Caputo 1 assists, Miha Zajc 1 assists will have to be very well guarded by defenders SPAL 2013, because they have the most assists. In Empoli not occur in the match due to injury: Lorenzo Polvani, Lorenzo Lollo.